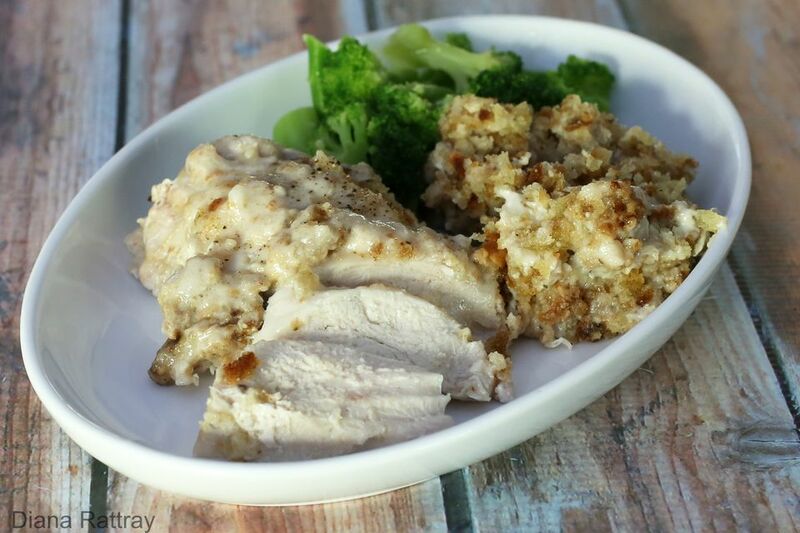 This easy, tasty chicken and stuffing casserole is cooked in the slow cooker. Feel free to use slices of mozzarella or muenster in this recipe. Serve the chicken with steamed broccoli and roasted or mashed potatoes. Butter the sides and bottom of the crockery insert of the slow cooker or spray with nonstick cooking spray. Arrange the chicken breasts in the bottom of the pot. Then spoon the cream of mushroom soup over cheese. Sprinkle the stuffing crumbs over the soup layer. Then drizzle melted butter over the top. Cook on LOW for 5 to 7 hours or high 3 to 3 1/2 hours.